Jacqueline was born in Toronto. She has a degree in fine art from the University of Guelph with a major in studio. Further studies included theater design and architecture from U of Toronto and Ryerson respectively. As a student her passion was sculpture and the human figure. While at school she took a semester in Paris. Trips back to France, Germany, Holland and England as well as to the US – San Francisco, Washington DC and NYC - were a large part of her ongoing art education. As an editorial illustrator, in the ‘80’s, her assignments encouraged the telling of stories. Story telling has a great appeal and has influenced much of her work. For the past 20 years Jacqueline has worked on painting. Colour, theme and composition are a large part of her work. Currently she works primarily with acrylics or oils. 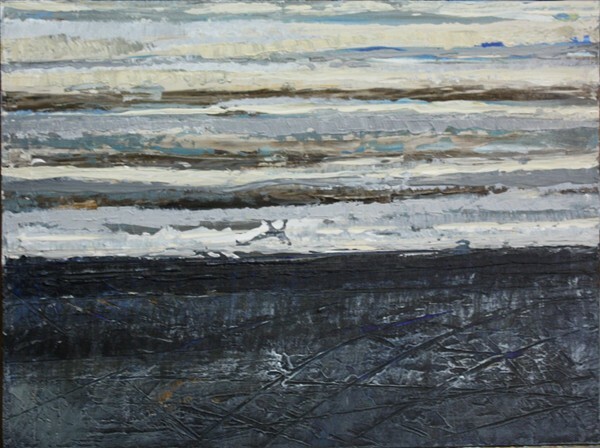 Abstract paintings have taken over most of her recent work except for commissions. Recently she has returned to realism with portraits and landscapes.For the past 6 years, teaching painting and drawing has brought the added benefits of sharing the struggles and triumphs of being creative with her students. Jacqueline finds this fulfilling, inspirational and motivating. She has had One-Man shows and joined Invited and Juried shows in Toronto, from the 80’s onwards. My inspiration to create art comes from many sources. My abstract paintings are motivated by modern themes and concepts like differences between man and nature. This work is ongoing. My abstract paintings of urban life are concerned with the bright colours and rhythms of the city. Working outside of abstraction, into realism, my subjects are people and places, reflecting today's reality. In the end most of my work is intended to be viewed in a reflective manner.